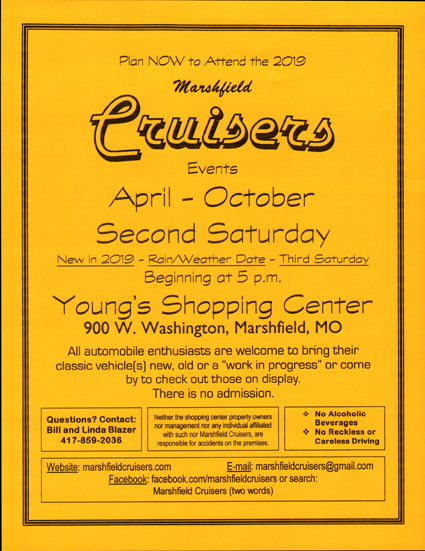 The Marshfield Cruisers will hold their first cruise-in on Saturday, April 13th from 5 - 7 pm in the Young Shopping Center. The cruise-ins will be the 2nd Saturday of every month from April-October. New in 2019 - Rain/weather date - Third Saturday This event is open to the public and all automobile enthusiasts are welcome to attend.